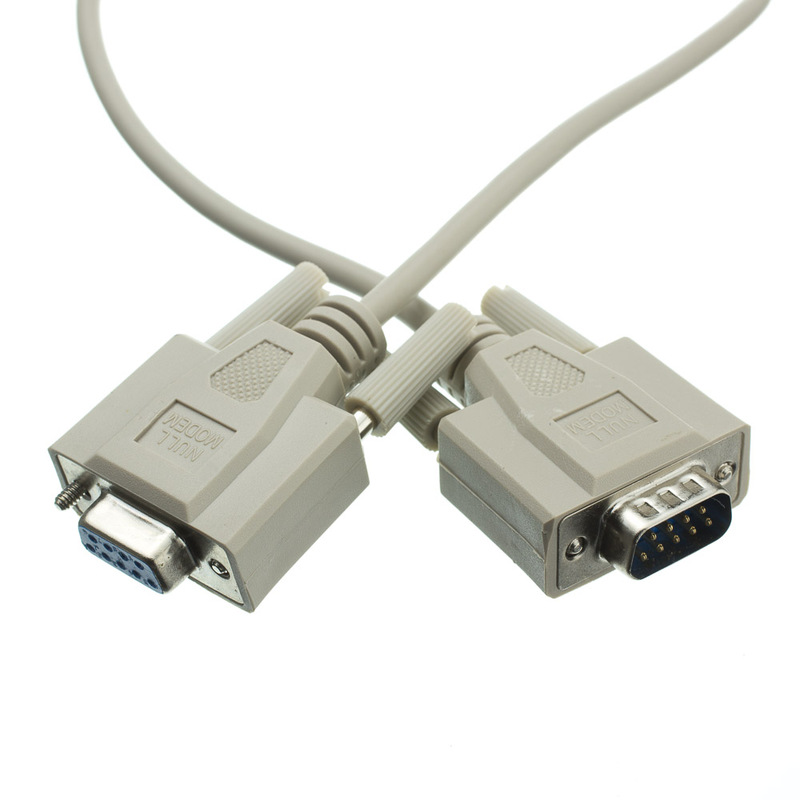 Transfer data efficiently and quickly directly from one PC to another PC with our 25-foot, 8 conductor null serial modem cable. 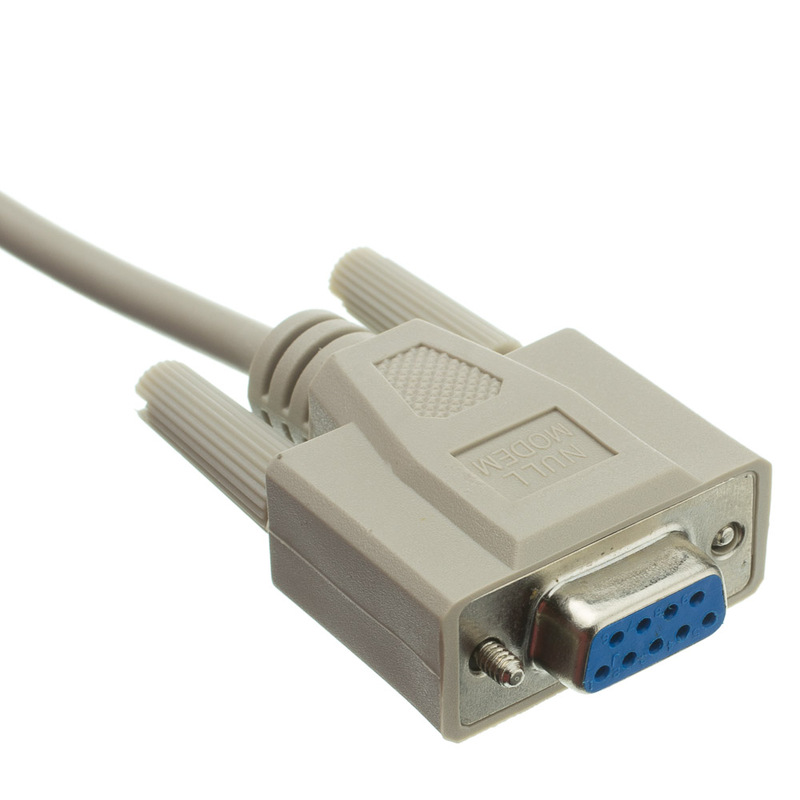 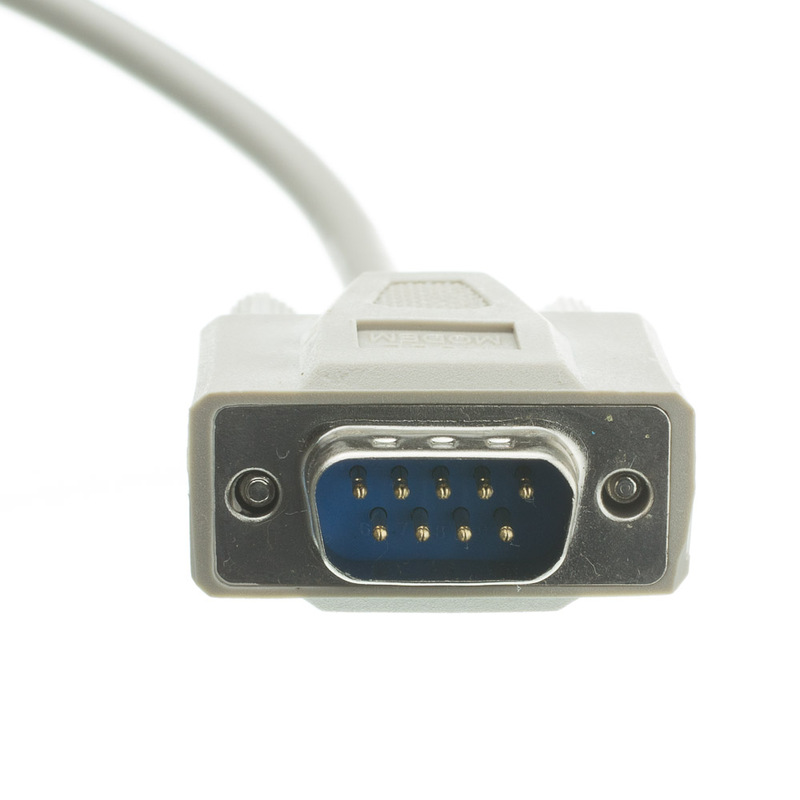 This quality null modem cable connects a DB9 male plug to DB9 female plug securely and provides for maximum conductivity for a superior bond. 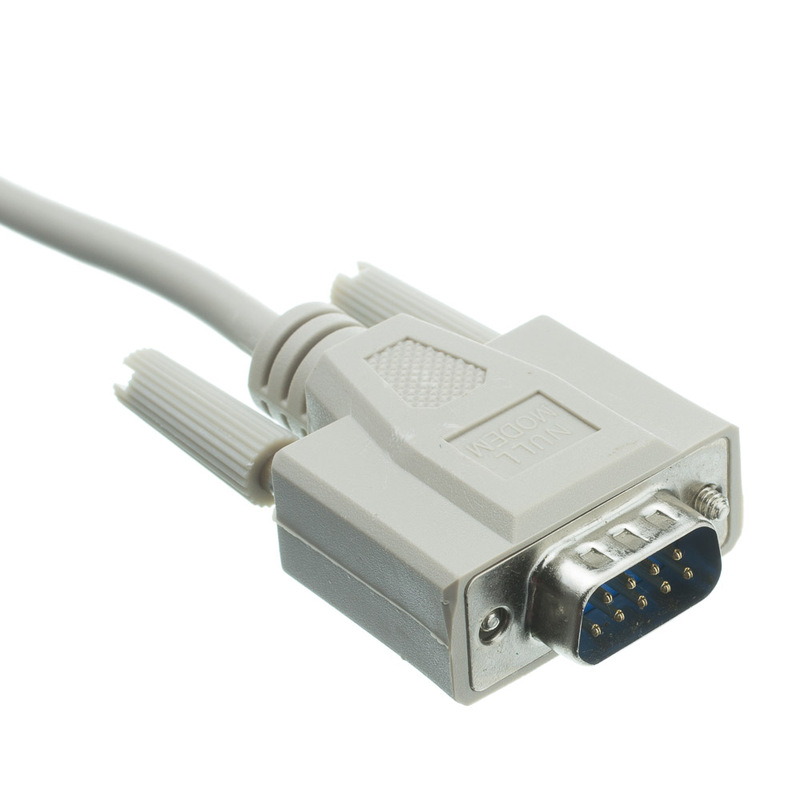 Our null modem cable features gold plating contacts in both the DB9 male and the DB9 female plug to minimize corrosion. 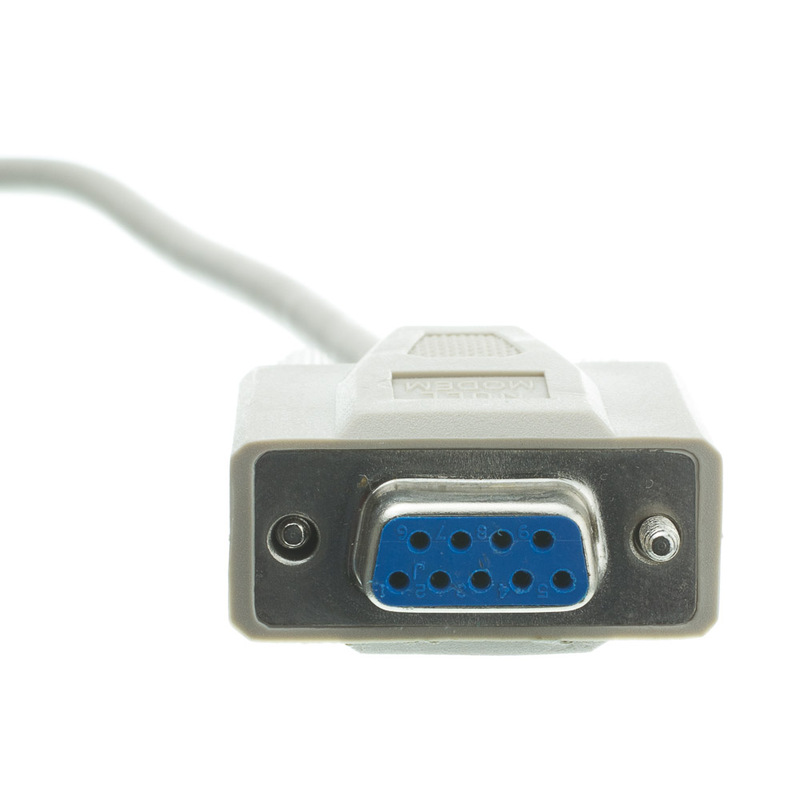 Additionally, our 4-40 molded thumb screws add extra safety and snug connections. This cable is surrounded by a durable beige outer PVC jacket and is guaranteed to provide years of use.